How to reconfigure the PleskControlPanel website in IIS? The website PleskControlPanel in IIS is used to serve the Plesk user interface. Delete the PleskControlPanel website from IIS. 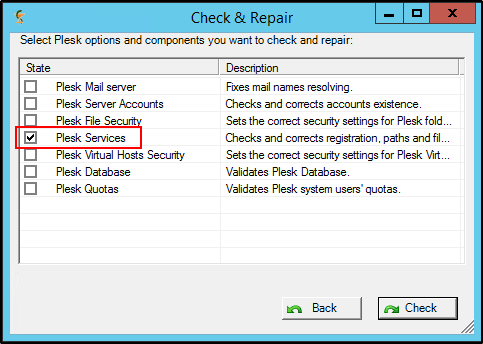 Launch Plesk Reconfigurator > Repair Plesk installation > Plesk Services as administrator. Plesk 11.0.9 has reached end of life. I can recommend you to contact Plesk technical support to upgrade it. 1. Check that command line is opened under administrator user. 2. Check that PleskSQL service and Plesk management services are running. Most probably - no. 3. Try to search "Unable to connect to pipe" error in our Knowledge base. Found article probably can help you.